Working closely with local and national building contractors we can offer a tailored service to suit the needs of the most demanding projects from the nuclear power industry to private dwelling refurbishment. As well as traditional tiling, we have vast experience of bespoke stone installations, as well as mosaics of all materials. We can also supply and fit wet-rooms/ walk-in showers to customers design and taste. 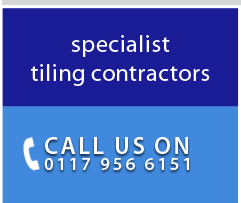 Our philosophy has always been customer-service orientated, we know from experience that even the most simple projects throw up last minute changes or problems, so that providing solutions and ideas is something that we regard as part and parcel of modern day ceramic and stone tiling.